Aladdin’s Magic Plumbing and Air Conditioning has a fleet of service vehicles to perform all types of work. Our employees are well trained and have gone through extensive apprenticeship programs. All of our Service Employees are licensed and or certified in their particular field. 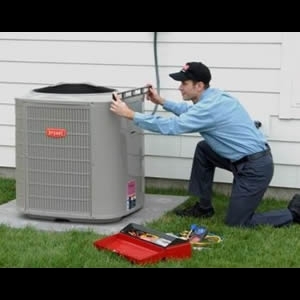 Our trained technicians are the best, and their job is to solve your cooling or heating problem for the best price possible with the best equipment. Aladdin’s Magic Plumbing and Air Conditioning has been in business 29 years, WE KNOW WHAT WE ARE DOING! We install and warranty most ALL BRANDS. 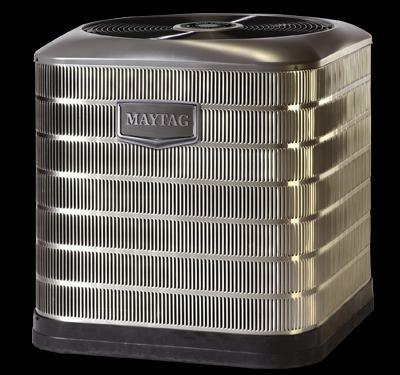 Carrier, Trane, Payne, Lennox, Bryant, Ruud, Rheem, Goodman, Amana, Frigidaire, Maytag, HEIL, Janitrol, Coleman, Tempstar and others. At Aladdin’s Magic Plumbing and Air Conditioning, you can count on us to keep you cool! 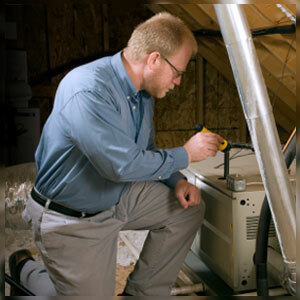 Our specialists are trained to work with any kind of HVAC system. We support your residential, commercial and industrial cooling needs, and we are trained experts for all Air Conditioning needs. Whether it is an older home being cooled by an air conditioner in need of repair or replacement, or a new installation for a custom home, we provide a complete range of residential, and commercial, industrial, cooling services and we are the top professionals in Brevard County. Our employees are the best in the business! Over 29 years in Brevard, WE KNOW WHAT WE ARE DOING. You choose the brand, the efficiency, we have them all. Then sit back and let our courteous experienced trained professionals take care of you. And be sure to check for our service specials and rebates! When the weather turns exceptionally warm or cool, our phones just keep on ringing. A change in temperature always brings a rash of service calls. AC and heat units seem to choose the arrival of extreme temperatures to cease working, giving residents the cold (or hot) shoulder. The truth is, all the changing weather does is expose the existing problem. If you aren’t running your heat or air, obviously you don’t know you have a problem. It’s best to never have to experience such inconvenience, and possibly cause more damage to your unit by scheduling a maintenance appointment. This can lessen your chances of having a problem. However, when service and repair needs do occur, it’s time to call Aladdin’s Magic Plumbing and Air Conditioning. If you’ve been searching for a company in the Melbourne area that provides the full spectrum of services for all of your heating and air conditioning needs, look no further than Aladdin’s Magic Plumbing and Air Conditioning. We specialize in all aspects of indoor comfort and continually earn our reputation as Melbourne’s air conditioning experts. After 29 years serving Brevard County, WE KNOW WHAT WE ARE DOING. Looking to save on your electric bill? 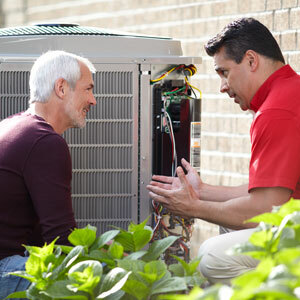 Let us replace your old AC with a more energy-efficient AC today and help save you money! Call us now. We are your Melbourne air conditioning specialists! If your current air conditioning unit is old, worn out, or your utility bills are awful, call Aladdin’s Magic Plumbing and Air Conditioning to schedule an appointment for air conditioning installation! 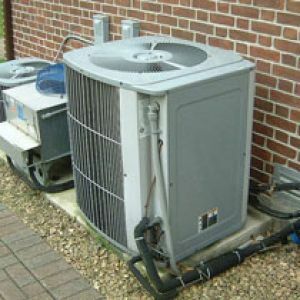 We can help you decide if it’s cost effective to scrap the old unit and install a new Air Conditioning System. Our employees are the best in the business! They spend years in training and are certified in their field. We have the highest efficiency units and the most economical. We also offer REBATES and FINANCING!!!!!!!!!!!!! 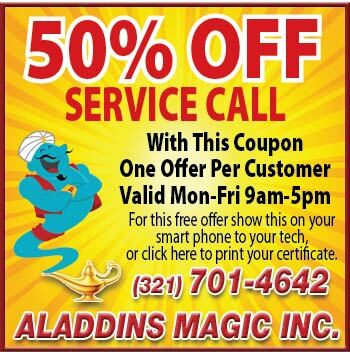 Aladdin's Magic Inc. is a family and locally owned and operated business with over 29 years of experience. Our technicians are highly trained and experienced. We believe in providing our customers the best service possible. Our mission since 1987 has been providing professional, commercial residential and industrial air conditioning, heating and plumbing service at an affordable price. Our mission is to offer our customers exemplary service built on a foundation of honesty, education, certification and high ethical standards. As a result of our past customer satisfaction we have grown into one of Brevard’s leading plumbing, heating and air conditioning service companies. You can benefit by calling us now, WE KNOW WHAT WE ARE DOING. 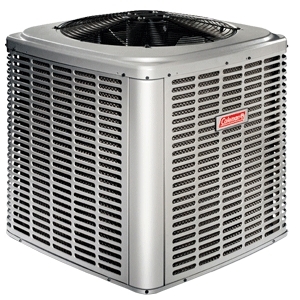 "October 2015 - The team at Aladdins Magic, Inc. just installed a brand new Rheem A/C heat pump system/air handler at my home. They replaced everything except the vents.Thank you to Lee, the lead installer, Adam and Don who took the time and effort to do a First class job. If you need A/C work, only call Aladdins Magic, Ins !!!"